Any bed and breakfast owner will be aware that a reputation spread by word of mouth is worth its weight in gold, but some believe that there's nothing that can be done to control it. To a certain extent that's true, but it is also true that constantly monitoring and improving standards and quality can ensure that customers' expectations will be met and the reputation will be maintained. To maintain quality and high standards it's necessary to have a process of continual improvement. This means that all the time you are chipping away to make things better in every area, so that the chances of something going wrong, or failing to meet a customer's expectation are as small as possible. 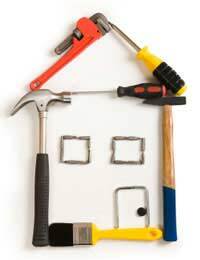 Take the maintenance of a house. Even householders who aren't running a bed and breakfast know that if they have a rolling programme of maintenance, painting the front windows one summer, the gutters and soffits the next, the back windows the following year and so on, it means that nothing will ever get tired and dowdy, much less break. This process also means that you will see other problems as you are doing the work, so that the chances of something going wrong when you least expect it will be a lot lower. You are, in effect, making your own luck. A bed and breakfast owner must use the same principle, but of course the job will be a lot bigger and will involve the guest room fittings and the communal rooms too. And the exterior work required will be harder as you may not be able to use the summer for the painting. If that's your high season, guests won't be expecting to be disturbed with scaffolding and ladders. But the principle remains the same; if you tackle one guest bedroom each year in your low season then you'll never be faced with a situation where all the rooms need doing at once, which is a severe disruption and a large capital hit all in one go. But more importantly, all your guest rooms will be fresh and to a high standard, so customers expecting a relaxing, quality experience will not be disappointed and so will never have a bad experience to talk about. This concept can then be extended to cover other aspects of the bed and breakfast such as the levels of service, staff behaviour on the telephone, the quality and standard of the food, and so on. The way to maintain high standards and quality in these areas is to measure how good you are, then make changes and measure again. The best people to measure your performance against their expectations are your customers. So consider asking your guests how well you think you are performing in certain areas. Some establishments do this with a questionnaire, asking what customers thought of the breakfast, the room cleanliness and so on. Now you can do this, but try and keep it simple and short and make it voluntary. Trying to force customers to do this, or making it very long-winded, will not enhance your reputation. You can try doing it informally and verbally, but ask specific questions at specific times rather than just blandly saying 'is everything all right' because most customers in the UK will just answer 'fine, thanks'. Try asking instead if the breakfast was cooked to their satisfaction, just as you are clearing away. Or ask if their room was as they expected it to be as they are going out for the day. When they're settling the bill you could ask if they would recommend you to someone else. If they say no, ask why but in a non-threatening way. The answers to these questions will help you find out what needs to change to maintain your high standards and quality.